I can't stop obsessing over this place, it's so amazing. 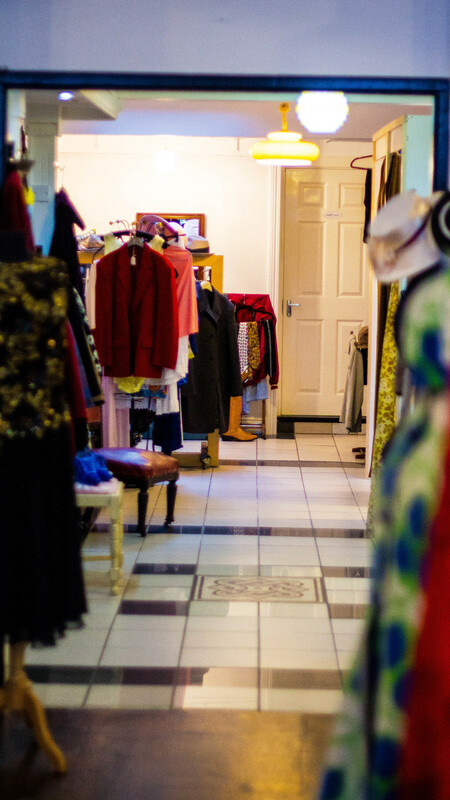 When you go into a vintage shop you always expect really good finds and a lovely insight to fashion many years ago, however, it's not very often like that in my experience. This shop, however, is just like I described. It's perfect! It’s always exciting to go in and see what they still have and what’s new. The atmosphere in the store is great. I always feel like I’d rather live there than just visit. You walk in and feel like you go back in time. There are so many great pieces and I so often end up buying something I can't really afford. The amazing women running the place are always friendly, very helpful and up for a chat. There are so many wearable pieces that looks cool and timeless instead of just old and grey. They really get such a variation of clothes in and their prices are reasonable and varied. You can pay anything from a fiver to hundreds of euro. In this great store they have everything. They have shoes, hats, dresses, skirts, coats, scarfs, you name it. Ken and I got Ken's Grandma a gift there just yesterday. A few weeks ago I saw a woman trying on the most beautiful dress that she was planning on wearing to the opera. The dress looked perfect on her, I never thought to photograph her, but it was as if the dress had been tailor made for her. The fabric and the cut was just perfect and it's extra special because it's vintage. You can find little things around in the shop like an old record player, the old Chanel No. 5 perfume bottle, dinner set, an old radio and I even found an old Breakfast at Tiffany’s metal plate to hang on the wall. Even if you have no intention of buying anything it’s worth a visit for the fun. I’m really excited that I found this store and I hope I have some readers in Wexford or visiting Wexford that can enjoy it as much as I am. You find it on the main street in Wexford. Brand new Stella McCartney dress. So gorgeous and so much cheaper than in the store.